Here at Crown Oil, we believe excellent service before and after your order is paramount to our continued success. When combining this with our first-class local knowledge, competitive red diesel prices and friendly deliveries, we have remained the first choice for businesses in Barnsley and throughout the UK. With over 70 years’ experience in the industry, we have fast become one of the most trusted red diesel suppliers in Barnsley. Whatever your fuel and lubricant needs, you can rely on Crown Oil to take care of them in a manner that suits you. To order red diesel to be delivered in Barnsley, call us today on 0845 313 0845. Need an Emergency Red Diesel supply? Here at Crown Oil, we can deliver red diesel to Barnsley within just a few hours, with our same day and next day delivery service. Our business hours don’t stop at 5pm, our phones are manned 365 days a year, all day long (and night!) to ensure that if you need a red diesel delivery in a hurry, we can get your fuel to you before you know it. Are you running low on red diesel? Call us today on 0845 313 0845. We supply red diesel in 205-litre barrels, but if you’ve got the storage space, we also provide bulk deliveries up to 36,500 litres and more, which will save you money in the long run. With our huge buying power, we purchase red diesel at low prices and pass on these savings to you. Red diesel is a red-dyed rebated fuel that is used either for heating or to run off-road vehicles and machinery. Even though the fuel is not allowed to be used in a vehicle that’s intended to run on a public road, it will work in a vehicle which is only used off-road privately. For those that do wish to utilise its great quality, it’s imperative to find a red diesel supplier in Barnsley that can be trusted to provide quality red diesel with punctual deliveries, at competitive prices. 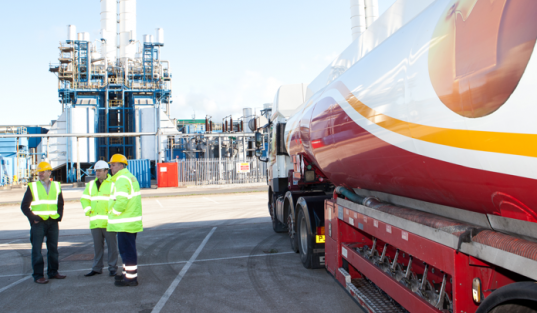 As well as being a leading supplier of red diesel in Barnsley, we also have a wide range of storage tanks on hand to enable the utmost safety when handling and storing your fuels. From 205-litre barrels to large fixed mobile bowers, you can count on Crown Oil to for a storage solution to suit your exact requirements. This only represents a small selection of the areas we are able to cover around Barnsley and South Yorkshire. So even if you do not live in or around these locations, please still get in touch with us as we supply Red Diesel Nationwide on a 24/7 basis.